3D Square Mandala Coloring Page Take a trip to the future with this geographic coloring page! These floating blocks will come to life with motion. It can be fun to color all year long, but there’s something exciting about coloring Christmas coloring sheets or other seasonal downloads. These free coloring page downloads all feature holidays, seasonal images, and other celebration-worthy images. Easter Tulip Coloring Page Tulips are very popular in the Easter season, just like Easter lilies! What is your favorite spring flower? Elegant Rose Zentangle Coloring Page There’s just something relaxing and mesmerizing about coloring in flowers. Appreciate all the natural beauty with this elegant rose. Big Eyed Owl Adult Coloring Page This owl is featured in our free printable PDF eBook, 7 Adult Coloring Pages. Get the collection and color in several of our popular pages! 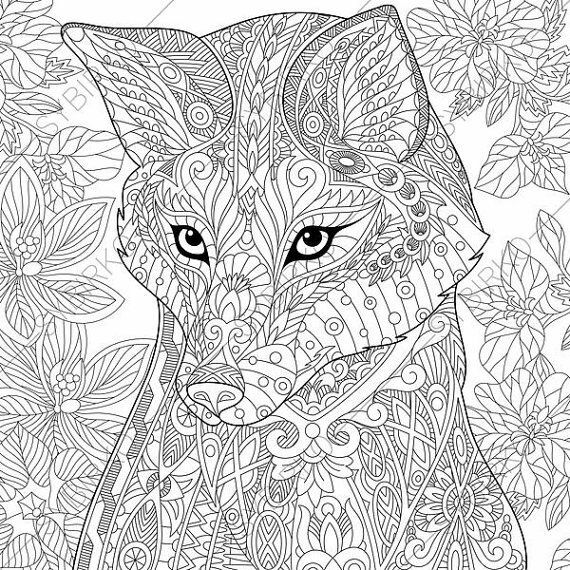 Forest Animals Coloring Pages Who doesn’t love forest animals?! These coloring book pages are a great activity for an afternoon at the park. It has been a long time since a crafty and arty hobby took the world by storm quite like adult coloring books and coloring book pages.This old school activity reminds us of simpler times scribbling away in elementary school, may provide some stress relief, and is just plain fun! Not many types of crafting allow for such a low-effort, high-impact activity. Whether you are shading in intricate mandala coloring pages or adding vibrant colors to animal coloring sheets, giving yourself some quiet time with your colored pencils or markers is a fantastic way to get in some creative me time. The 50+ Adult Coloring Book Pages below allow you to create and zone out at the same time.The range of coloring book pages below offers a ton of fantastic ideas for any style. Whether you are looking for simple coloring pages or hyper-complicated coloring sheets, we have the printable adult coloring pages you are looking for below. Keep scrolling for all the free coloring page options you would ever like! You can start scribbling away today or print out these cute pages and save them for a plane ride or evening in.Don’t forget to sign up for the Coloring Pages and Projects newsletter for beautiful free coloring pages and project ideas delivered straight to your inbox. Peculiar Peacock Coloring Sheet “I colored this page with sparkly gel pens and I love how it turned out! Check out the image on the GelWriter Instagram page. Get inspired by all the materials you can use to color in adult coloring pages!” -Dana Byerwalter, Editor, FaveCrafts. 2 Shark Week Coloring Pages Is Jaws a little too much for you? Celebrate Shark Week in with some aesthetic beauty in the form of these coloring pages. Merry Christmas Coloring Page Ho, ho, ho! Color your way to Christmas cheer with this page. 50+ Adult Coloring Book Pages No need to spend money on adult coloring sheets when you can download these free printables. 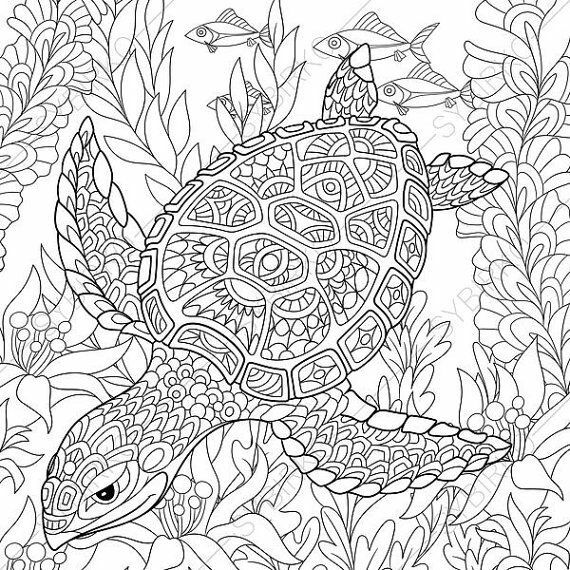 Mandala Turtle Coloring Page Aren’t turtles just precious? Print this page and get to coloring this precious green creature. 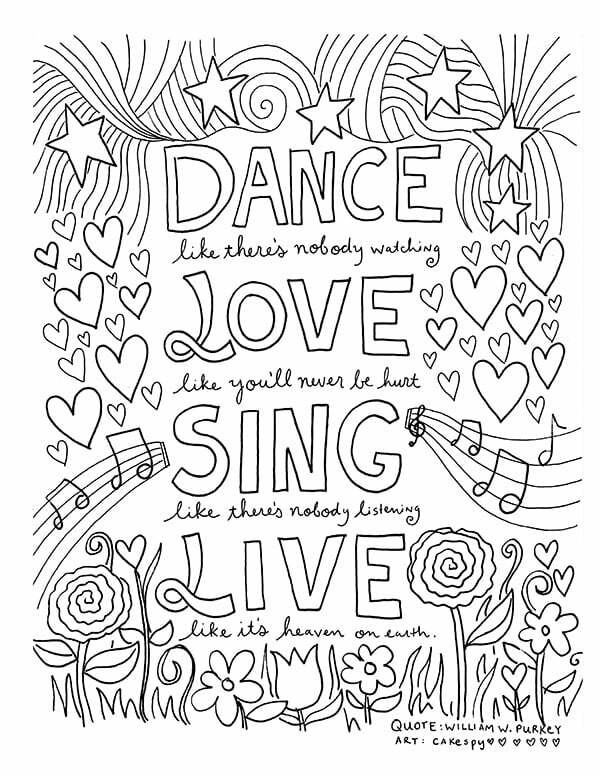 All My Love Adult Coloring Page This page would be a great addition to a homemade Valentine’s Day card! Prettiest Umbrella Girl Coloring Page Rainy day? This printable page is perfect for when you’re stuck inside. Big Bang Adult Coloring Page With this page, it’s all about the color choices. Create a scheme that will wow! Cat Slumber Party Coloring Page Taking a cat nap? This printable page is a great way to spend a lazy weekend with your feline friends. 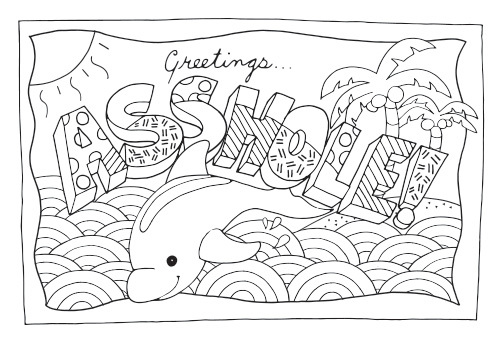 Calming Dolphin Adult Coloring Page Some people love repeated images in their coloring pages, like the design of this dolphin coloring page. What do you think? Do you prefer repeated images like this, geometric ones, swirling mandalas, or detailed scenes? What coloring pages are your favorite? Peppy Penguin Adult Coloring Page Penguin are my friend’s favorite animals! They are so cute, especially for the holiday season. Which animal is your favorite? Cityscape Adult Coloring Page The city is such a beautiful place with beautiful people! Capture the mood of a bustling metropolis with this coloring page. Spring Flowers Adult Coloring Page “Finally, the colder weather is a thing of the past and spring is here! 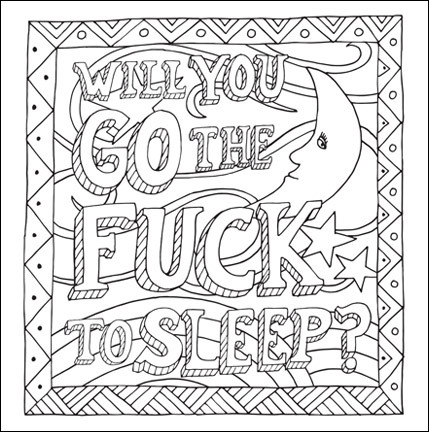 What better way to celebrate than with a themed adult coloring page. This page features a bunch of flowers in a lovely watering can. The abundance of the flowers makes you want to go outside and pick an armful of flowers to bring into the house. So without further ado, grab your coloring tools and get ready to have fun!” -Benetta Strydom, designer. Springtime Cat Coloring Page “Celebrate the arrival of spring when you color this cute little critter. This fur ball is chasing the butterflies and she has discovered some of spring’s beautiful flowers. Grab your coloring tools and help her have some fun by adding color to the spring symbols.” – Benetta Strydom, designer. Mandala Flowers Coloring Page There’s no better way to spend an afternoon in your garden than by coloring this page. House of Cards Adult Coloring Page “This page was designed by our in-house graphic designer and I absolutely love it. I used classic red and black to color in the playing card symbols, and it was a fun challenge to see how I could play with just these two colors so the pattern was still distinct! My fellow editors colored the picture in wildly different colors. It was so fun to see how the different coloring sheets turned out.” -Dana Byerwalter, Editor, FaveCrafts. Under the Sea Coloring Page You don’t need eight hands to color THIS page! Leo the Lion Adult Coloring Page How regal! With this lion coloring book page, you can show off your coloring skills with pride. Hello Lovely Unicorn Coloring Page Join the unicorn craze and color your way to happiness. Halloween Cat Coloring Page This Halloween cat coloring page is based on our family’s black cat, Spooky. One day when my mom and I were playing Scrabble, my mom looked up and said in a startled voice, “Spooky’s on the clock!” It was funny to see her watching us from up there. As an added creepy element, the foyer light was off, so it really was shadowy! Energizing Mandala Printables If you’re anything like us, coloring improves your mood tenfold! These energizing mandala printables are no exception.